Finally, we committed to do this work in December and it went well. For us techies it was actually fun. As I mentioned, converting actual design to HTML5 with Bootstrap was fun and interesting project. 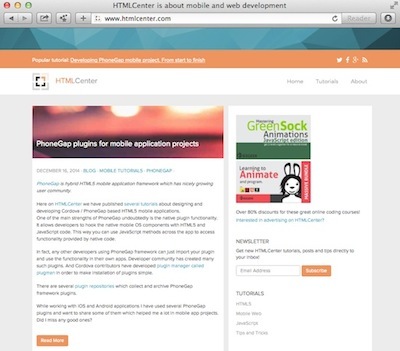 One of the things we have removed from site for now is the HTMLCenter forum. Old forum was based on phpBB engine and I had to disable new registrations 1 year ago due to most of the new registrations and comments being spam. If there will be a need for forum here on HTMLCenter (and I welcome readers to leave their comments under this post) – there are some new alternatives in forum world. Like Discourse. 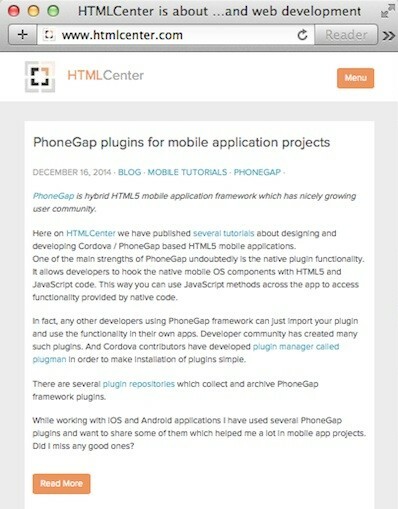 Well, we will still be improving bits and pieces of blog UI design in next couple of months. 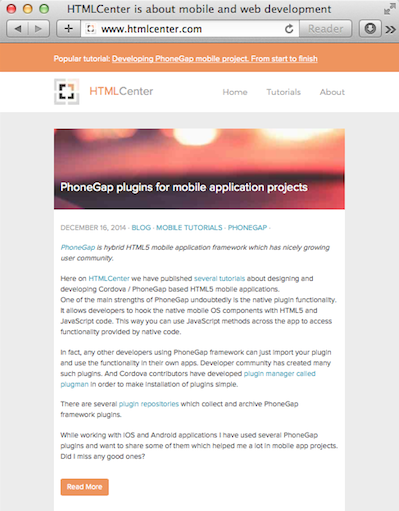 Reader opinions are very appreciated and would help us to make HTMLCenter great. Use the comments below or just send us an email. Thanks in advance!